This one photo demonstrates the depth of human compassion. Dandric Piolet, 17, lost his mother to cancer last Thursday night, according to My Fox Houston. His fellow students at Naaman Forest High School in Garland, Texas, showed tremendous support for Piolet, who’s a captain of the school football team. 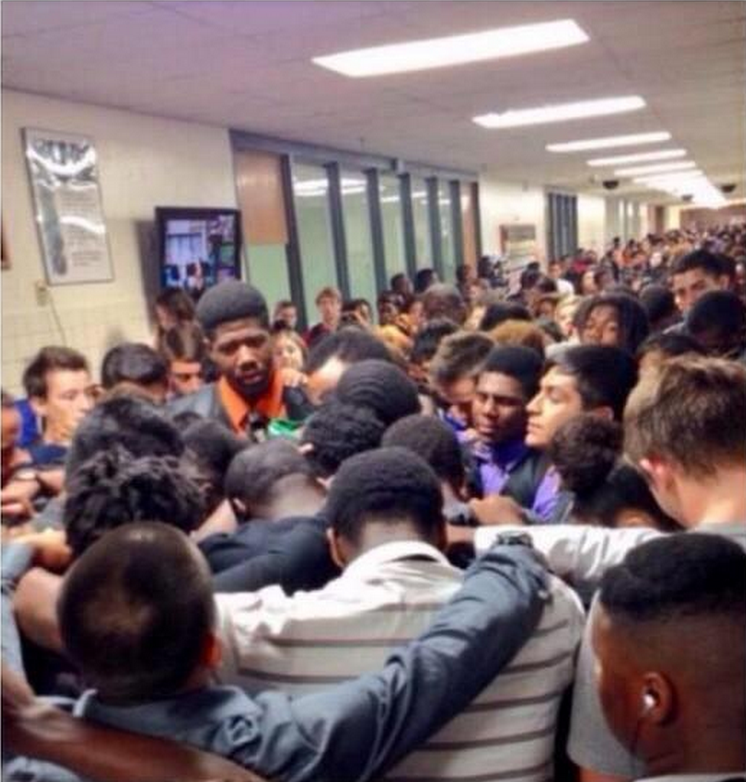 This incredibly moving image of students cramming the school hallway to pray with and offer condolences to Piolet the morning after he found his mother’s body has been shared more than 2,000 times on Twitter. After coming home late at night and discovering his mother had passed away, Piolet posted this heartbreaking message on Instagram. The next day Piolet attended class and played in a football game where the entire school came out to support the grieving athlete. Students, even some from the opposing team’s school, wore his jersey number and sported his mother’s name, Tasha, out of respect, My Fox Houston reported . It was a poignant reminder of the strength and generosity of our peers in our time of need.